Mythic storytelling out of Iceland, and the song of the Vikings. 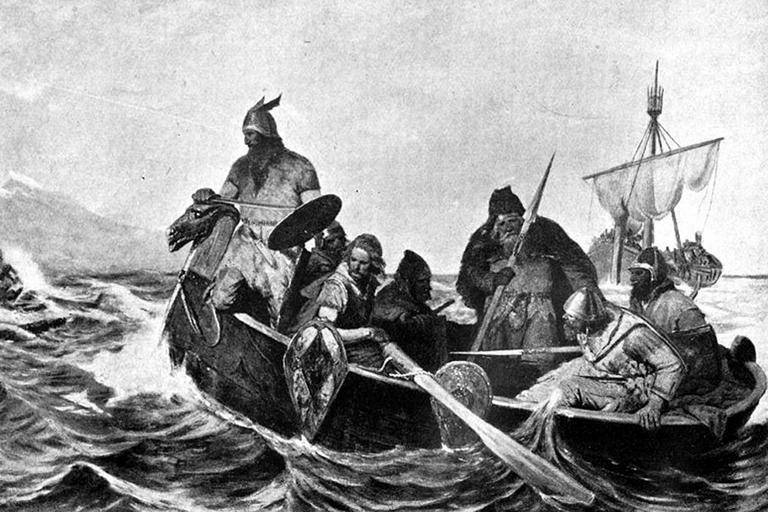 Long ago and far away, the old Norse tales and poems of Vikings and lore were fading. A young Norwegian king – fourteen – was enchanted by the English tales of King Arthur. A wayfaring storyteller from Iceland stepped into the breach. Spinning northern tales of Thor and Odin, dragon and dwarf, magic weapons and rings. He may be the most influential medieval writer you’ve never heard of. But Tolkien did. And Wagner. And Neil Gaiman. And Michael Chabon. This hour, On Point: the Homer of the north, and mythic storytelling out of Iceland. Nancy Marie Brown, author of Song of the Vikings: Snorri and the Making of Norse Myths. Scienceblogs.com "Icelandic sagas and a single archaeological site in Newfoundland document a Viking Period presence of Norse people in the Americas. Now National Geographic’s November issue has a piece (here and here) on new work in the field, lab and museum collections by Dr. Patricia Sutherland. It deals with a group of additional and somewhat later sites that may expand that evidence. Dr. Sutherland, of the Memorial University in Newfoundland, kindly answered some questions of mine via e-mail." This program aired on November 6, 2012.